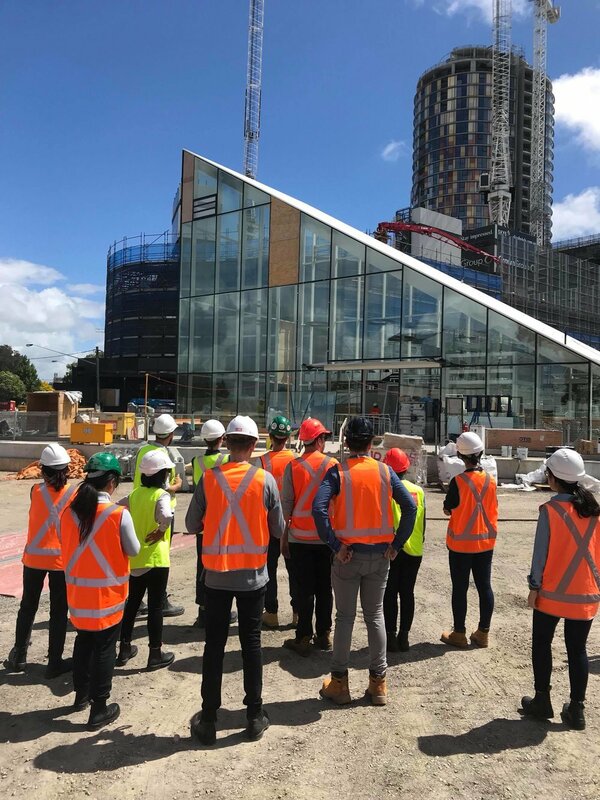 "Led by the NSW Government’s property development corporation Urban Growth, The Bays Precinct tour took a group of 20 students through the historical White Bay Power Station (WBPS). The first part of the workshop talked about the future plans for the transformation of the Bay’s Precinct - possibly the most significant development opportunity in Sydney in the coming decades - and the propositions for future adaptive-reuse of the WBPS Site. The intention of the government is to transform the area into a commercial “tech-hub” which can simultaneously support an integrated artistic/cultural public programme. Still, much work needs to be done to attract national and international tech-firms - namely integration with public transport and refurbishment of the building for safety compliance. The second part of the workshop led students on a walking tour around the site, taking in scenes of the rail yard, exterior conveyor belts and the layers of additions over the last 100 years. Inside the WBPS, students visited “transformer alley”, a lengthy laneway containing remnants of old transformers placed outside for natural cooling. The worker’s games room was a magnificent hall, still containing old pool tables, a functioning stage for plays and performances and faded murals. Finally we were led into the main entrance, a small room which offered an expansive view over the turbine hall. Overall it was a great experience and rare privilege to visit one of Sydney’s most secretive industrial icons. We are all excited for what’s to come!" Offering a rare opportunity for architecture students and graduates, Stewart Hollenstein so generously invited us along to visit their competition winning design for the new Green Square Library. This was very exciting for some of the fifteen or so participants as it would have been the first site visit they would have ever been on. We met Matthias Hollenstein in their Alexandria office where he ran through the design brief and their design strategy with us as well as detailing one of their other competition winning projects, Jacksons on George. From there we walked down to the Green Square location where he guided us through the entire project. We walked at plaza level around unfinished skylights waterproofed by kiddie pools, then ventured through the triangular glass entry pavilion down through to the belly of the library. We learnt about the spatial organisation and the challenges of ventilation and the nuances in the different types of flooring with particular consideration into the librarians. The tower was a particular highlight of mine - from the adaptive use considerations into community space, to the detailing inside the lift shaft referencing an industrial past. Heralded for its bold and innovative design, the Green Square library will be a welcome addition to Sydney and I am so glad to have had the opportunity to intimately witness its construction! 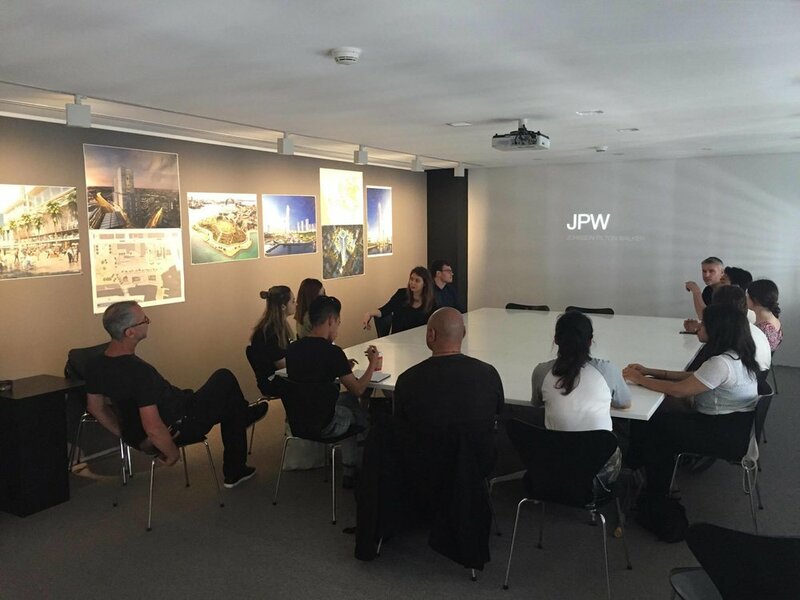 The JPW workshop consisted of two parts, the first was an overview of JPW and their practice as well as talks with recent graduates. This gave valuable insight into the path graduates may take in transitioning into a larger office, clearly highlighting the roles expectations and responsibilities undertaken. It provided students with a real opportunity to ask questions and gain a further understanding of possible paths taken, and further understanding the processes leading up to registration. 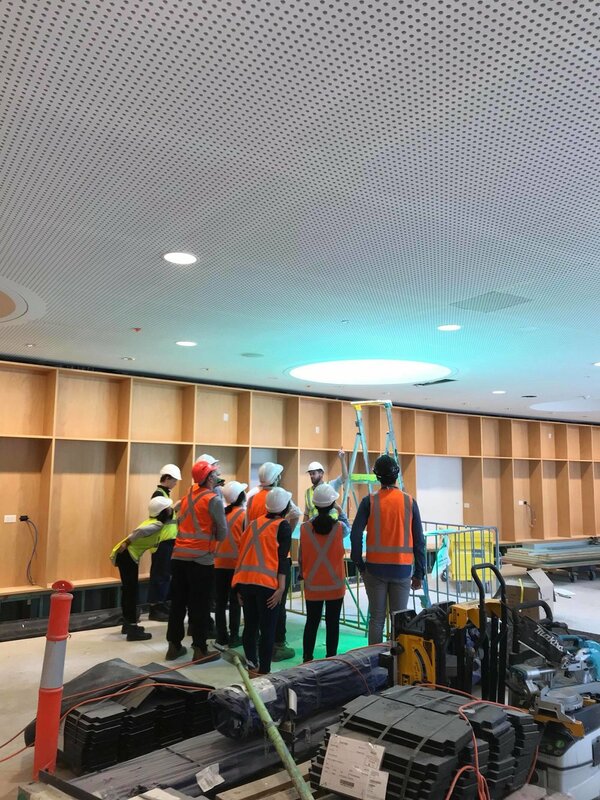 The second part of the workshop was a tour through the city, from the new memorial under construction in Martin Place to the Campbell Stores located at Circular Quay. 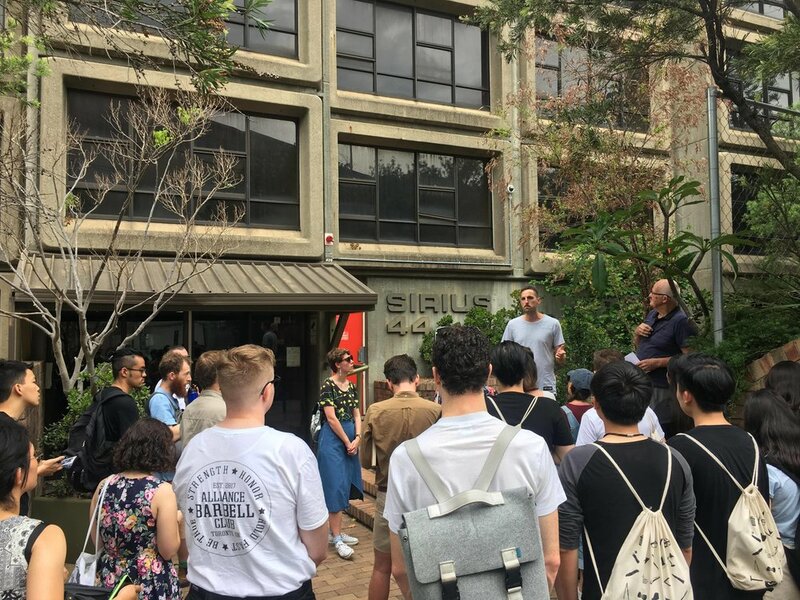 The tour gave an overview of some of Sydney’s key locations and the contribution JPW as a firm have played in shaping this iconic area of Sydney. Billed as a tour of undersized (according to the SEPP) apartments in Potts Point, we were guided by Scale Architecture Director Matt Chan, where we embarked on a casually intimate tour of his, and his friends, neighbourhood. Beginning at 17 Wylde Street, which recently won the Enduring Architecture Award at the National Architecture Awards, we were invited into one of the apartments. What was fascinating was that the apartment felt larger than its humble sizing, due to the amount of ventilation and light achieved through the apartment spanning from front to back. Next up was Harry Seidler’s Gemini, where the sub-35m² apartment we visited utilised clever divisions, stowaway furniture, and mirrors to provide the space with a larger feel. To conclude, we visited Matts own apartment which he redesigned himself - clever storage and utilisation of all spaces, as well as a grand outdoor garden terrace gave it an expansive and homely feel. Thank you to Matt and his friends who generously opened up their homes and provided us with some insight into solutions that don’t necessarily follow the Apartment Design Guidelines. 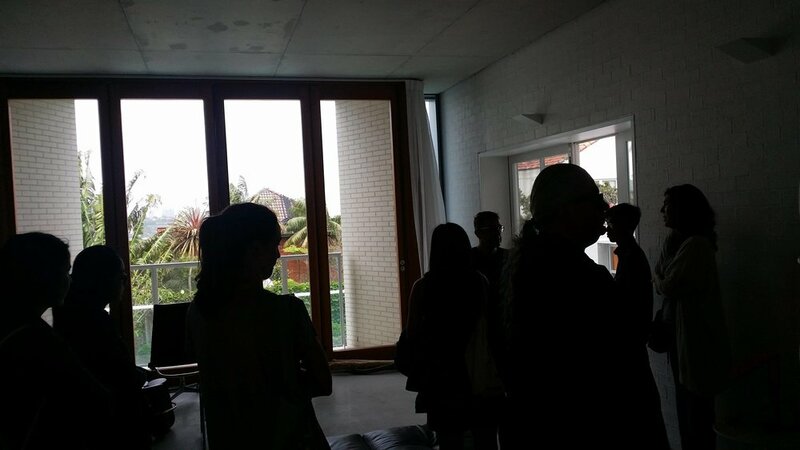 Great tour of the Sirius building by the architect himself, Tao Gofers, completed with some book signing. He explained the modular stacking configuration of the building using rectangular pipes. We also had the amazing opportunity to go up to to one of the apartments to visit Myra, the last remaining resident and had a conversation about her daily life there. This 3-hour workshop was located at Candalepas Associates Studio and consisted of both a round the table discussion and office tour. The discussions were an opportunity for the approximately 25 students to ask questions and converse with Angelo about everything from career aspirations and the transition into architectural practice from university, to philosophy, to more detailed questions about Candalepas’ work and processes as an individual and in establishing the firm as it stands today. The tour gave students the opportunity to see the office in more detail and the environment in which the work is created. 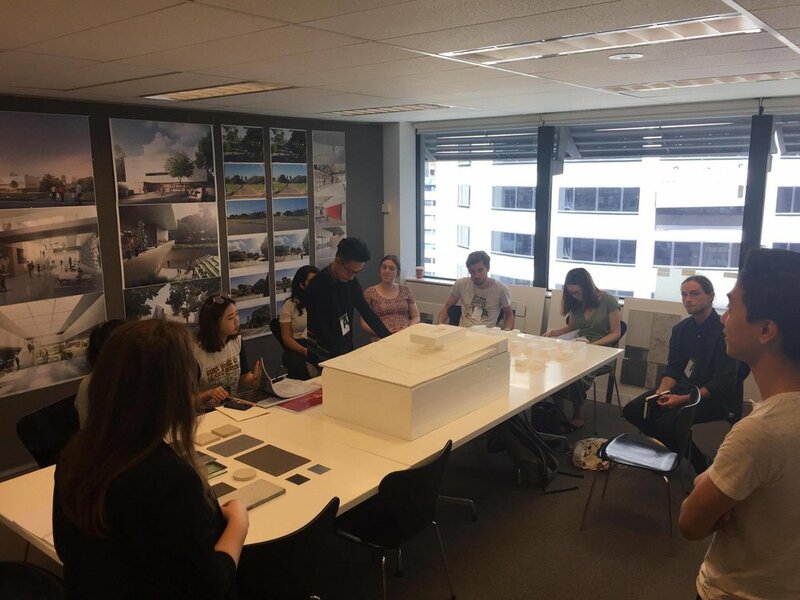 Overall it was a highly valuable experience in gaining a glimpse into one of Sydney’s leading architectural practices. We met Angelo Candalepas at his studio and he led an "open-mic" question and answer session. Our discussions covered a variety of topics, not just about architecture but other things such as religion, psychology, beauty and science. He wanted to make a point that great architects are those who don't just sit around in their offices but also engage themselves in the outside world. After the session he gave us a tour of the studio and showed us his traditional drawing table. The workshop at Architectus was based on their Vertical School project, Arthur Phillip High School. We were given a brief yet informative run-down on the design process and considerations such as structure, flexibility, circulation, open space and urban renewal. After the introduction, group was split into smaller groups, each focusing on a particular aspect of the project (eg. masterplanning, interior design, architecture, landscape etc). Using the same competition brief, each group was to propose ideas for their version of Arthur Phillip High School. At the end of the session, each team presented to the staff from the office and the winners were chosen! On Saturday morning a group of around 10 went to Dover Heights to visit a house by Candalepas Associates. This was a tour of the newly completed Thoma House, whereby both Angelo and the clients lead us through, explaining the processes and motivations behind the design. It was an opportunity for conversation and for students to engage in conversation with Angelo about both the house and his wider philosophies regarding design and architecture, and his views on architectural education.